Long gone are the days when cashless transactions with debit or credit cards were considered a major leap forward. This digital era has made everything easily accessible for everybody. Swiping a card would mean a big deal once, but banking has now moved to a whole new level with mobile banking and internet banking taking over the entire banking ecosystem. There are many ways through which digital banking has made our lives easier and better. This major shift to all things digital has made banking a breeze. Everything you need is right at your fingertips now, thanks to mobile banking and internet banking. Let’s take a closer look at the two. As the name suggests, mobile banking is a platform provided by banks and financial institutions for their customers to perform transactions on-the-go through their mobile devices such as smartphone or tablet. Mobile banking (mBanking) is a facility provided by your respective bank so that you can transfer funds, pay bills, check statements, and review transactions while on the move. All you need to do is download the respective banking app (mobile banking platform) on your smartphone and register to access the app. The only thing you need is a stable Wi-Fi network or mobile data to download the application. Once you’re in, you can access all the resources of the app. Be it your mobile recharge or paying utility bills or funds transfer, mobile banking makes everything easily accessible right at your fingertips. It’s a convenient and easy way to do banking without worrying about making multiple trips to the bank. It’s a fun way to review transactions from the comfort of your own home. Not only it gives you complete freedom to do banking anytime and anywhere, it also saves you a great deal of time. No matter whether you’re commuting or taking a pleasure trip, mobile banking always comes in handy irrespective of the place and time. Plus you can transfer funds from your account to any other you want with just your smartphone. Internet banking is just the other side of the coin. Internet banking, also referred to as online banking, is yet another convenient way to do banking anytime at your convenience. It’s an easy method of banking in which the transactions are done electronically, via the internet. It’s a banking platform which allows the customers to perform a wide range of financial transactions through the bank’s official website. In simple terms, online banking allows you to manage your money online. Internet banking provides just about every service you’d expect from your local branch including funds transfer, deposits, paying utility bills, mobile recharge, online payment, and more. Unlike mobile banking, you can access online banking on a web browser instead of your mobile phone. All you need are your log in credentials – customer ID and password – to access the bank’s website. It allows you to perform banking transactions through the bank’s website under a private profile with your home computer or laptop. With Internet banking, you can do everything from scheduling your loan payments to manage your finances to setting up mutual fund, literally everything without even going physically to the bank. No more waiting in long queues, no more checking account statements every now and then; all you need is your login credentials and you’re good to go. All the banking services provided by your bank are available at Internet banking platform. Banking Platform for Mobile Banking and Internet Banking – Both mobile banking and internet banking are two sides of the same coin and both serve the same purpose; that is to make banking convenient and easily accessible for everybody. While mobile banking allows you to do banking right at your fingertips using just your smartphone, internet banking uses the bank’s online portal developed by the bank to access the bank’s official website via internet. Use – Mobile banking requires you to download the official app of the respective bank onto your smartphone to enjoy the wide range of services provided by the bank. Internet banking, on the other hand, allows you to do banking electronically via the internet. It uses the bank’s official website to execute financial transactions such as funds transfer, mobile recharge, online ticket booking, credit card bill payment, and more. Device used for Mobile Banking and Internet Banking– Mobile banking, as the name suggests, is a banking platform which uses short message service or application to interact with customers using mobile devices such as smartphones or tablets. 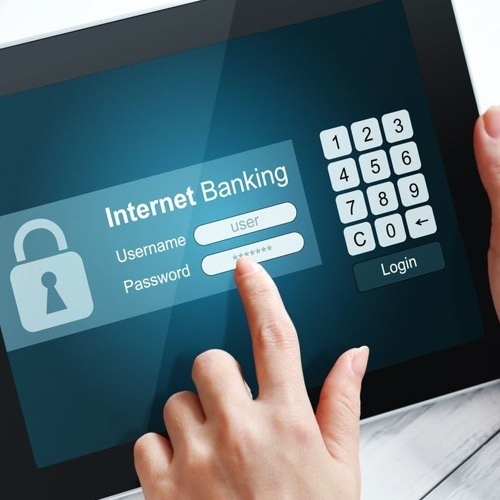 Internet banking, on the other hand, used home computer or laptop to access the bank’s website to carry out banking operations. Functions – While both require access to the internet via Wi-Fi or mobile data, the functions provided by mobile banking platform is limited as compared to that provided by internet banking, which provides a host of customer-oriented banking services. 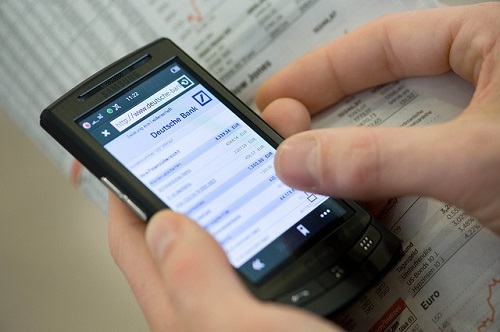 Mobile banking has limited options, which in fact depends on the respective bank. Ease of Use – Mobile banking gives utmost freedom to transact anytime and anywhere without having to worry about making multiple trips to the bank using just your smartphone. It’s convenient way to do banking while on-the-go. On the contrary, internet banking uses a personal computer or a laptop, which are not stationary, making it a little difficult to transact everywhere. It’s a platform provided by the respective bank which requires you to download the bank’s application onto your smartphone. You can directly access the bank’s online portal maintained by a dedicated server developed by the bank. It gives 24/7 access to your account right at your fingertips using just your mobile device. It’s a technology to manage your bank account electronically via the internet. The number of functions provided by the bank is limited in mobile banking. It provides a host of banking related services, almost everything you’d expect from your local branch. You are required to download the bank’s application and register to enjoy the services. The only thing you need is your user ID and password to access the bank’s online portal. Mobile banking is a recent development in the digital banking ecosystem. It all started with Internet banking which is fast and efficient. Digital banking has revolutionized the global banking sector offering new opportunities to provide added convenience to their customers. Banking has never been this easier, thanks to the advent of mobile banking and internet banking. While both are two different sides of the same coin, they have their fair share of differences. While mobile banking is a recent development in the digital banking space which revolutionized the way we do banking, Internet banking is still the most efficient and convenient platform to do banking. Sagar Khillar. "Difference between Mobile Banking and Internet Banking." DifferenceBetween.net. January 22, 2018 < http://www.differencebetween.net/technology/difference-between-mobile-banking-and-internet-banking/ >.